- Realistic LED Flickering Flame Light! - Weddings! Holiday Decorating! Special Events! 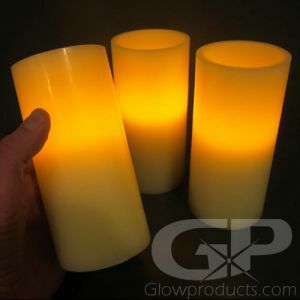 4 Inch Flameless LED Pillar Candles - Get ready to party, decorate and have fun the easy way - and the safe way - with Glowproducts.com's 4 Inch LED Pillar Candles. 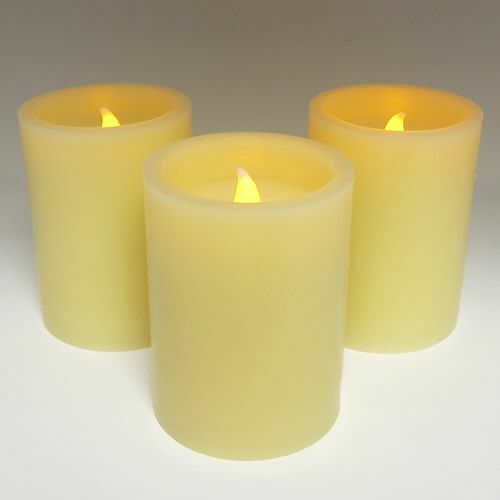 Our real wax 4" LED candles are a safe alternative to regular candles and are perfect for events and locations where open flames are not advisable or allowed, such as weddings, childrens parties, churches, halls and heritage buildings. 4 Inch No Flame Candles look fantastic on mantels, as centerpieces and anywhere you would use a normal candle as decoration. And they're great during power outages! 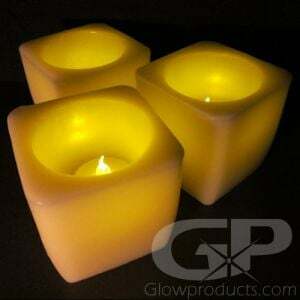 The real wax body and realistic flicker of the amber LED flame make these candles feel like real flame candles, but with non of the inherent dangers. 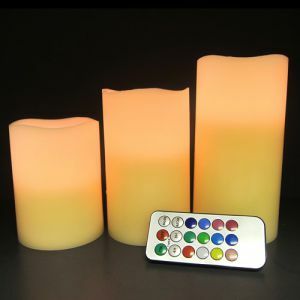 With two replaceable AA batteries you can use these LED candles again and again making them a great choice for event planners, churches, community halls, party suppliers and restaurants. Instructions: Insert two AA batteries into the bottom of the 4" Flameless Candle and turn the switch 'on'. 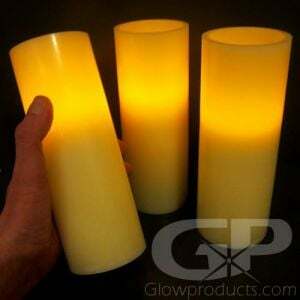 The 4" LED Pillar Candle is made from real paraffin wax and has a flickering orange LED light to simulate a true flame. 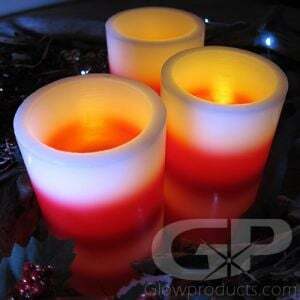 The four inch no flame candles are 4" tall and 3" wide. 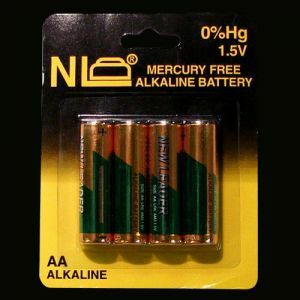 The glow duration is approximately 48 hours of continuous use.